The much criticised Dundalk stadium is unquestionably the hidden jewel in Irish horse racing. For those involved professionally Dundalk has been a game-changer with the large population of horses kept in training over the winter specifically for Dundalk providing both employment and finance. There is a fair diverse programme in the winter series including numerous races of a high standard, also as many races accommodating the lesser lights within the training ranks. The equal spread of winners is also very broad with no Owners or Trainers dominating matters to anywhere near the same extent as the current situation over jumps and in fact the “smaller” owners and trainers achieve success on a disproportionately positive level in comparison to NH or the Flat Turf Season. One initiative I would like to see is the introduction of an All-Weather Finals Day for horses that have competed in Dundalk over the Winter. Unlike the Lingfield Park Finals Day, I would model it on one of the numerous “Grass Roots Racing” series that have occurred in recent years in the UK. In these series, horses in the lower Handicap Grades qualify through a series of qualifier races to get an opportunity to race in a Final for significantly more prize money than would normally be the case. Horses would gain their place in the final by accumulating points throughout the winter season based on their finishing position in each race. 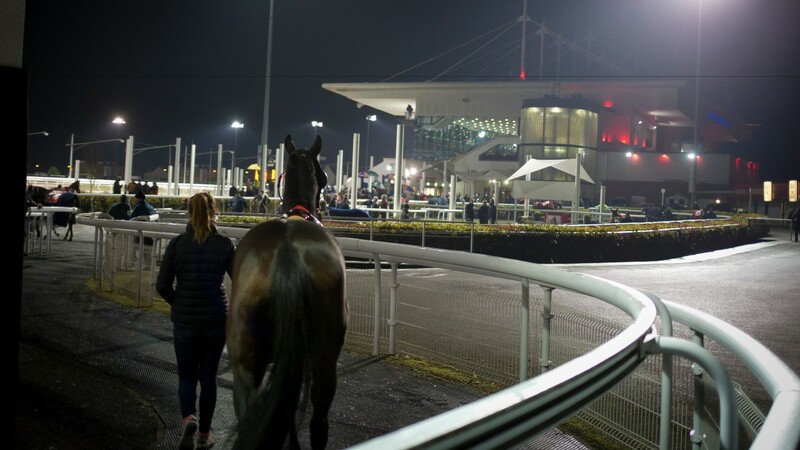 The opportunity to race for a pot of €25-50K with a realistic chance of success would provide a great incentive and boost for the many smaller Owners and Trainers who are the regulars on a Friday night’s through the winter at Dundalk stadium. Also, I would relish to see more incentives for the lesser experienced riders, i.e. a race for jockeys who have won less than 5 winners, and perhaps even a lady riders’ race once a week. The presence of the state of the art stadium in Co. Louth can only get stronger within the next few years. It ultimately plays a pivotal role in our industry progression, and instead of the negative criticism we should be commending the team’s efforts and supporting their upcoming projects. 🎯Would you like further exposure for your brand or company?. 📊Advertise with #3FurlongsOut for less than £10 per month.